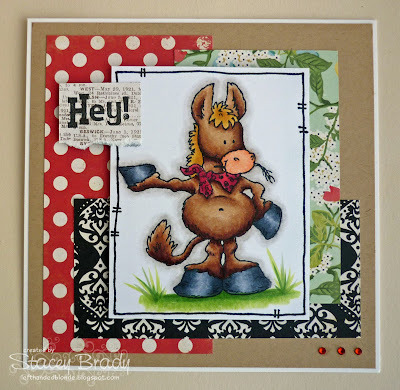 Stamps: High Hopes 'Party Donkey'. Sentiment: The Greeting Farm 'Talk Loud'. Paper: Echo Park 'For the Record'. Copic Markers: E00, E25, E29, E31, E33, E35, E37, R32, R35, R37, R59, YG03, YG63, YG67, YR00, YR02, YR23, W1, W3, W5, W7 - available HERE from Dies to Die For. 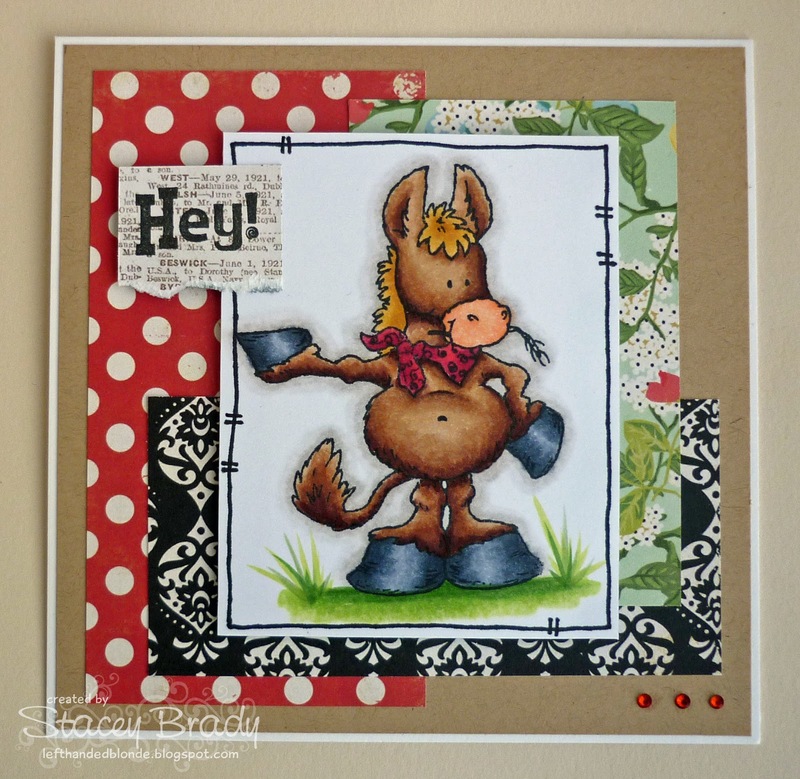 wow fab card! great colouring! HOW FUN FUN Stacey!!!! DARLING! you poor thing Stacey! You just concentrate and get better honey! The last time I had a bad cold I coloured in images in bed! Lovely card, the colours are brilliant!